Please Take Our Poll: Are Self-Driving Autonomous Vehicles Safe? We are asking one simple question hoping our reader will tell us their thoughts. We will lay out some convincing arguments for and against, but we want your opinion on whether self-driving autonomous vehicles are safe or not. We'd like to know your thoughts regarding the safety of autonomous vehicles and those operating in a self-driving mode. Below, we lay out the arguments that self-driving vehicles are safe, and provide sources to the facts or arguments. We will also make the case that these types of vehicles are not safe. We are not trying to win any argument for or against. We simply want to know what side of the divide you come down on. After you give our argument a quick scan, please tell us in the comments whether you think self-driven and autonomous vehicles are safe or not. Feel free to elaborate on why you think so. After the story has had a chance to be read here and on social media posts, we will post an update with a tally of what the general public thinks. Each year, drivers in American cause the deaths of nearly 40,000 people. Humans are imperfect animals. The publication Big Think points out that Google's self-driven vehicles have logged 1.8 million miles and has had 13 accidents, none of which were the self-driving vehicle's fault. Huffington Post reports that Waymo has recorded over 2 million miles with just one at-fault accident. That rate is about 10 times safer than human operators and about 40 times safer than new human operators. Self-driving cars have been caught on camera doing ridiculously unsafe things. A Google vehicle which, are claimed to be, "never at fault" in the many accidents they have had, was recorded on video pulling straight in the path of a bus. 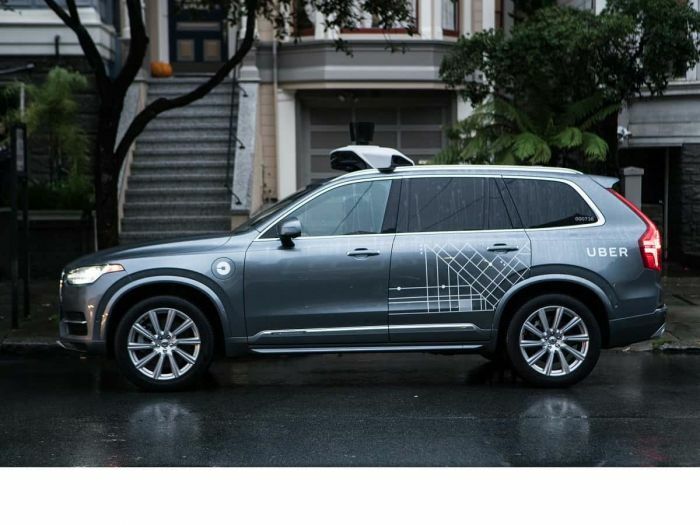 An Uber self-driving vehicle ran six stoplights in San Francisco and blew past a pedestrian in a crosswalk. On video. Six-figure Teslas have driven into the side of a semi-trailer -while speeding -on autopilot, have driven into the back of a firetruck and another into a highway lane divider. NuTonomy's taxi hit the side of a delivery truck and an autonomous shuttle was in an accident on its maiden trip. See our top ten list of self-driving vehicle SNAFUS, crashes and safety violations for more examples and detailed source links. The statistics are being fudged by the developers of this technology and we have the video and photographic evidence proving that autonomous vehicles are not safe. There are two known deaths already involving self-driven vehicles and a third is under investigation. Your Turn - Take the Poll By Answering In the Comments Below Or Use the Social Media Poll If You Found The Story That Way. No they aren't safe - yet. Self-driving cars aren't safe yet. I think they are even unsafe for other cars who have drivers. Not yet safe. Nomenclature and hype also a problem. Self-driving means driver-assisted, Not autonomous self-driving ability. Some owners and the public are not clear about that. Hands-off autonomous vehicle driving is grossly unfair to nearby vehicles and pedestrians at this time. Great care, focus and monitoring needs to be taken by all concerned. No they are not safe. Computers can't reason or predict what someone else may do. There should be a halt to their integration into mainstream until problems are solved. Who becomes responsible for accidents the operator or the builder? Too much to deal with. No, and they can never be made to safely operate 100% of the time affordably in the US. Let's think a moment of the air traffic, airplanes have implemented auto pilot successfully and its use has been in place for years. A few differences being, air traffic control regulations require a 1 mile gap between planes, there is zero chance a random person is going to jump out in front of one, all airplanes require rigorous maintenance and record keeping that is very expensive, in the event of a malfunction of auto pilot on a plane, there is significant time for even an inattentive pilot to regain control, however all pilots are under continuous observation and failure to perform as expected is detected and may result in loss of the pilot's license. None of the constraints of air transportation are realistically implementable in the auto industry. They are as safe as windows blue screen of death. They will never replace humans, I do not care what they try to sell us, i will always like to drive myself and family around. No AI self driving cars for me thanks. Tesla autopilot is a driver's aid, just like cruise control. The driver is responsible for driving the car. And the fatality rate for Tesla cars is 3.7 times lower then the national average. It is saving lives.